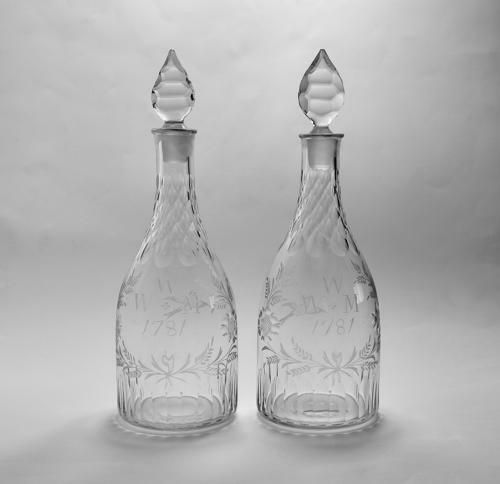 Fine pair of taper decanters with cut basal flutes and cut diamonds to the necks. The body engraved WWM and dated 1781 within a floral cartouche. Note: a fine a rare pair of English decanters.